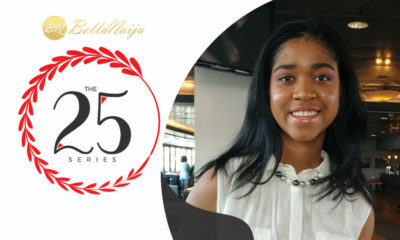 Last month, we started a column – The 25 Series – to shine the spotlight on high achievers under the age of 25 years in Nigeria and Africa at large. 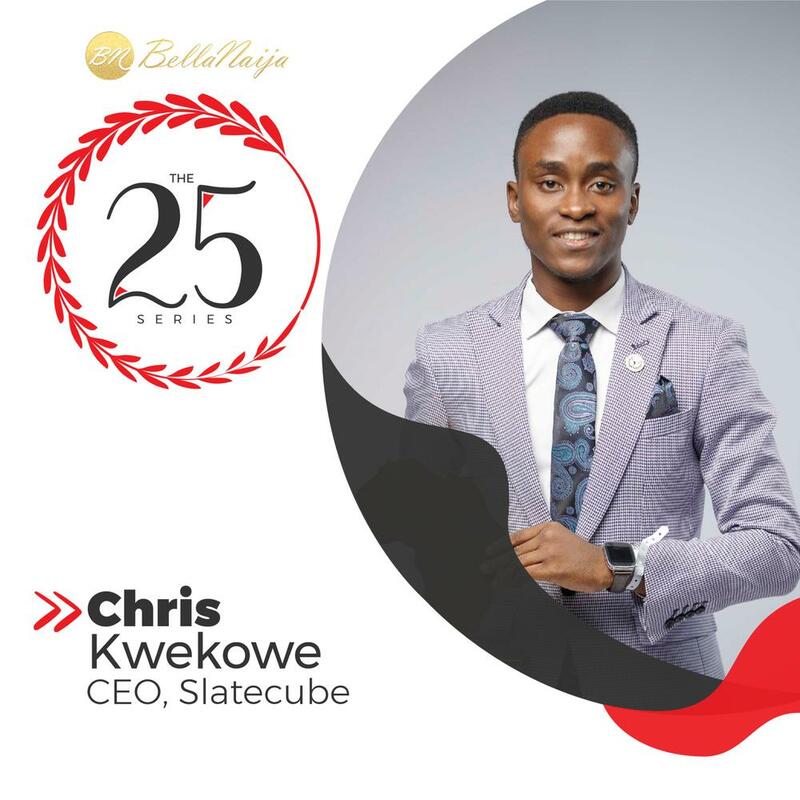 For our second feature, we talked with the founder of Slatecube, Chris Kwekowe, a 25-year-old entrepreneur who is tackling unemployment and talent management in Nigeria and Africa. 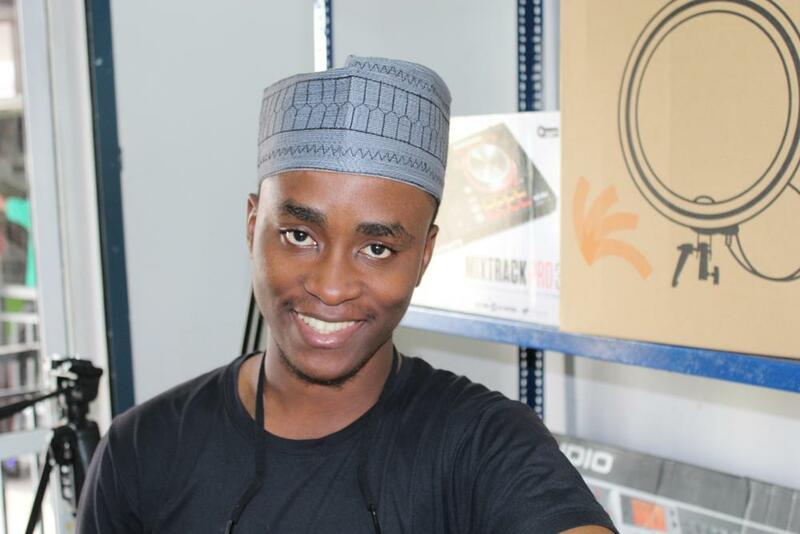 Slatecube is a social enterprise upgrading Africa’s workforce by solving the constrains of e-learning and providing virtual internship opportunities and employment for its users. The platform allows students study at their convenience, work with real organizations to acquire industry-relevant skills, and, finally, create social impact. According to Newsweek, the platform has an 80 percent employment rate for its users, and has saved companies over $100,000 in hiring skilled, ready to work employees. Chris decided to recruit employees for Microbold and discovered that although they had several applicants with a university degree, none of them was “fit enough.” He decided to solve this problem, and that was how Slatecube was born. Slatecube was selected to be part of the inaugural Tony Elumelu Entrepreneurship Programme (TEEP) and received a $10,000 funding to be dispensed in batches. 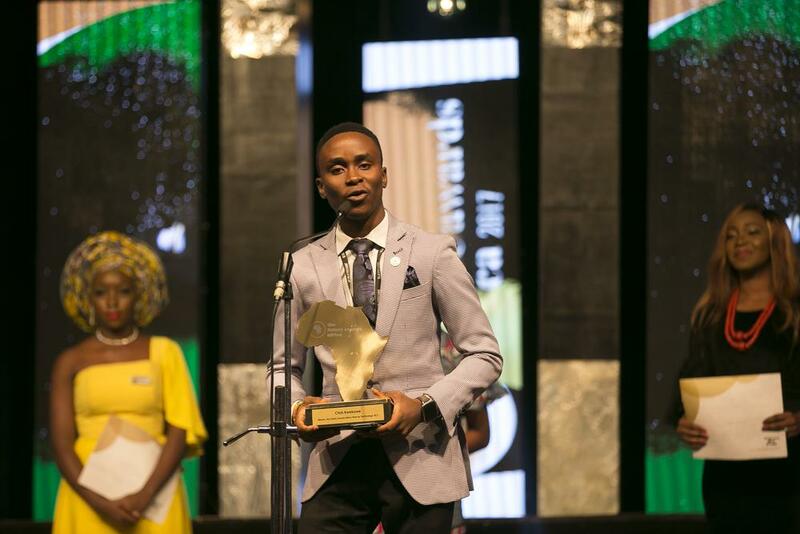 In 2015, Chris won the $25,000 Anzisha Prize for 15 to 22-year old entrepreneurs in Africa. 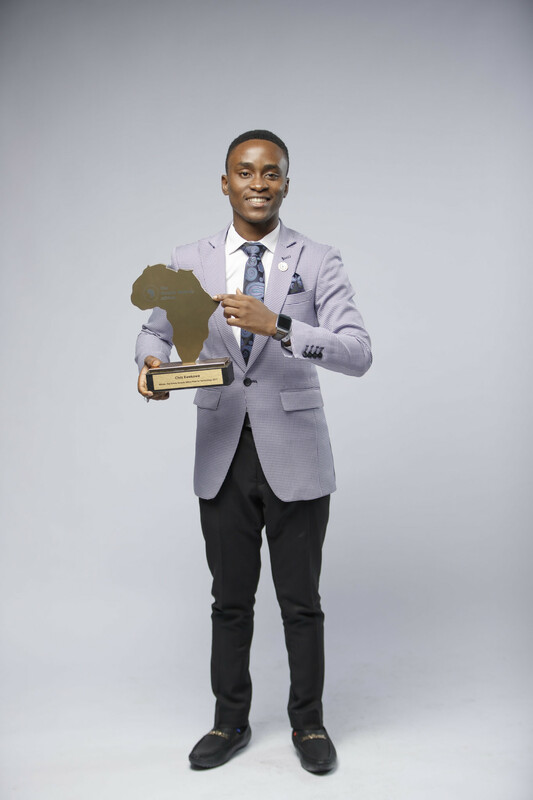 In 2017, Chris won The Future Awards Africa (TFAA) Prize in Technology, and guess what? The company hasn’t officially launched! “It’s been in beta because we are trying to understand the market and how partnerships work, and we’ve been able to bootstrap $50,000 apart from the initial $25,000 we won (Anzisha Prize). 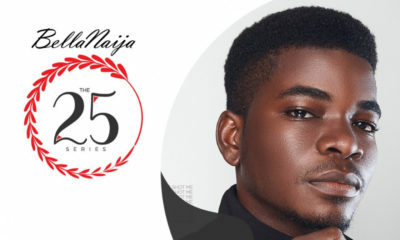 Before the Anzisha prize, we got into TEEP (Tony Elumelu Entrepreneurship Programme) and it gave us credence that we are doing something right,” Chris tells me, adding that the platform has about 7,000 learners. 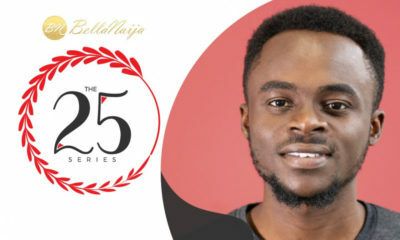 The Massachusetts Institute of Technology (MIT)-trained entrepreneur spoke about turning down a job offer from Microsoft; how he’d always known he’d be in tech industry, parrying pressure to apply to study Medicine; the Nigerian educational system; what the government should do for the youth and the economy; and his role models. You turned down a job offer from Microsoft to focus on building a platform that helps people get jobs. Tell us about making that decision, and how you were able to convince well-wishers and your family that that was the best step for you? I don’t know why we make so much of a big deal about that, but yeah, maybe. If I decided to work for Microsoft, I was never going to leave. They have amazing perks, and it’s not even in Nigeria. It’s harder when you get in to get out than when you decide to stay away. For me, I said, “I’ll just do this for a few years, if it doesn’t work, I can always go back to Microsoft.” These things keep happening. In fact, I got another job offer 4 days ago, but sometimes, we forget that we get to regret certain things we never tried because we never tried them, not because they failed. I don’t regret it and it wasn’t just Microsoft. Have you always known this is what you wanted to do? I’ve always known I’ll be involved in tech. My dad got us a computer before I was eight and I was very very interested in it. It was natural. By the end of my junior and senior secondary education, I was best student in computer science both times. If I were my parents, I’d have known my path was in technology, but my parents were the typical Nigerian parents. It was either Medicine, Engineering, Pharmacy, if you are in science student. My mum wanted me to be a doctor and my dad started getting me medical books. I wrote the entrance exam at Nnamdi Azikiwe University. First and second list came out, I didn’t get in and I left it. The next year, I wrote for computer science and I got in. During my clearance, I was told I got in for medicine, in the supplementary list. At that time, I was super excited I didn’t go for medicine. During the one year I stayed at home to apply for university education again, I realized, computers were not just for playing video games. I learned a lot about computers and the internet, and Christ Embassy had me work on their Yookos platform. Did having a university education play a role in your success today? The education itself really did not, but the experience itself did. But I was lucky to meet two lecturers – one in 100 level (Mr Majesty) and the other in 300 level (Dr. Ola) – who were proactive enough to push us beyond the norm in Nigeria. I’ll just say this, many investment offers would not come in because they feel you lack enough experience and to a large extent, it’s true. You need to know certain things for you to be able to handle certain amounts of money. We got $25,000 when I was 22, but I realized that if I had that money now, I’d have used it a lot better. Most of my early days in entrepreneurship, I was usually in the U.S., and it was the norm to see young people do stuff like this, but when I’d return to Nigeria for partnerships, they’d be hesitant. Unfortunately, here, there are cabals that exists that can hinder your progress if you don’t belong there. It will revolve around the key milestone we’ve achieved in the EdTech and unemployment space. I’d love for it to have a number stating how many people we’ve helped get into gainful employment, or companies we’ve scaled because we helped them with the right talents. Big Goal: We want to be that place where graduates go to get the best possible jobs and where companies go to to recruit the right talents. However TIME or FORBES want to craft an headline from this, they should. What would you do if you were president of Nigeria for a Day? First thing, get out all the people who have no domain expertise in the agencies they occupy and put in the right people. The biggest problem is not that we don’t have the right people, but that we don’t have them working together in the different sectors they occupy. What do you think the government can do that’ll greatly impact the lives of Nigerian youth? Reduce policies that limit youth participation in many sectors. Always make the enabling environment and allow for easy communication with the youth. People agitate when they feel they’re not being heard. What do you do for fun? How do you balance handling a role that, a few decades ago, was the exclusive reserve of persons probably a generation ahead of you, and making sure you enjoy your youth? There are a lot of sacrifices we have to make to occupy the position we occupy, but then again, I have an active Netflix subscription, I play video games, listen to music and I’m a regularly attendee of Alibaba’s January 1st show. I guess I’m not the typical fun person, but I try to go out once in a while. The typical me wants to stay by myself. If I’m still alive. Right now, I live my life as if I’m going to die in 5 years, when I’m 30. I create goals every ten years. So, in 50 years time, I may be retired, or might be holding a government position because it’s something I’m particularly passionate about. If I’m not in public office, I may be promoting people’s participation in it. I spend about three hours in traffic (laughs). Asides that, I’m in the office in front of my laptop. Who will you consider your role model, and why? Chris proceeded to show me four frames with four global entrepreneurs and said: Elon Musk for his guts. Bill Gates for everything tech stands for. Strive Masiyiwa for balancing his faith and business. Mark Zuckerberg for starting young and building to scale. He adds that he’ll get one soon for Tony Elumelu because he appreciates the fact that he decided to do something about the entrepreneurship and unemployment problem in Nigeria. Netflix and Chill because that’s what I like to do but if I wanted to do something special, maybe Dinner Date/cuisine. Yeah. Dogs. Hero, Keesy, Barry, Terry. A dead spot. A café in Victoria Island. Fave thing to cook/fave meal. Rice. It’s easy to cook. I used to think orange but now I really don’t have and tend more towards blue. Do you collect anything? If yes, what? I really didn’t do this until one of my friends back at MIT who was very active in collecting items from Hardrock Cafes around the world convinced me to doing this. I won’t say it’s a lifestyle, but it’s something I do. We’ve perfected the act of complaining, it’s just about time we start doing something about our challenges. After this edition, the interview series will be published on the second Tuesday of every month. I am sincerely pleased with the brilliant answers made by the young Chris in this interview that is just close to bare it all conversation. Keep it up bro, I see you conquering more challenges and emerging with greater feats .